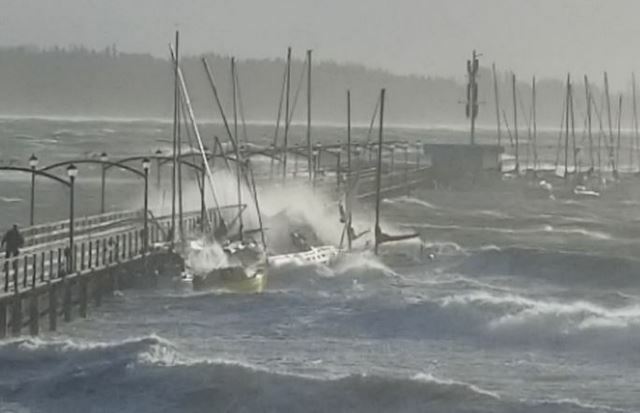 High tide and a wild windstorm conspired to set free sailboats moored at the breakwater. 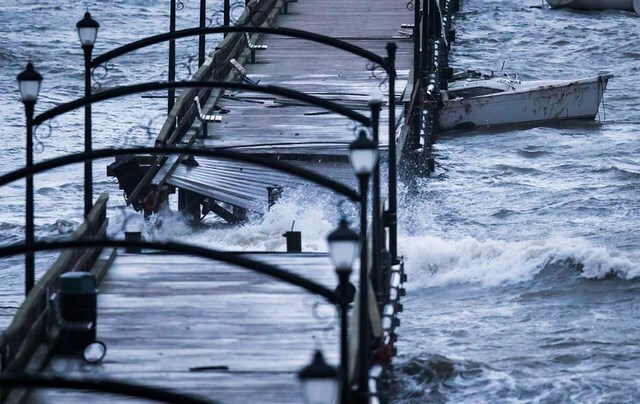 Those boats became battering rams hammering at the midway point of the pier until it gave way. A man stranded on the wrong side of the damaged pier had to be evacuated in a long line rescue from a Cormorant helicopter. The drama was captured on video. 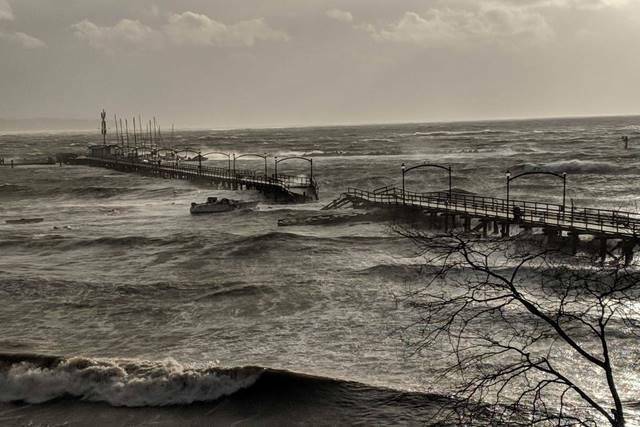 What those pictures do not show is the deep emotional connection people who live in White Rock have to the iconic 104 year-old pier. It is the defining image of our little city by the sea. It is so much more than boards and pilings stretching out over Semiahmoo Bay. It is the symbol with which we all identify, where we live. It is what drew hundreds of people to the water's edge Friday morning after the storm to witness the destruction up close. I moved to White Rock nearly 25 years ago and my first home was right on Marine Drive up from the pier. It was a wonderful thing for a Prairie girl to be able to look out at the ocean. I would wake up every morning and pinch myself that I lived in such a glorious marine community. For years, the historic destination has been the place you take your friends and relatives from other places. It attracts thousands of people every year to wander to the end and turn around to come back. The sole attractions: a view of the Gulf Islands and a few sea stars gripping the supporting pillars.